As is known to all, Bridge or Lightroom tags metadata to your AVI files, but neither of them works properly when it comes to MOV files. In this case, you can turn to a more powerful and advanced MOV metadata editor. 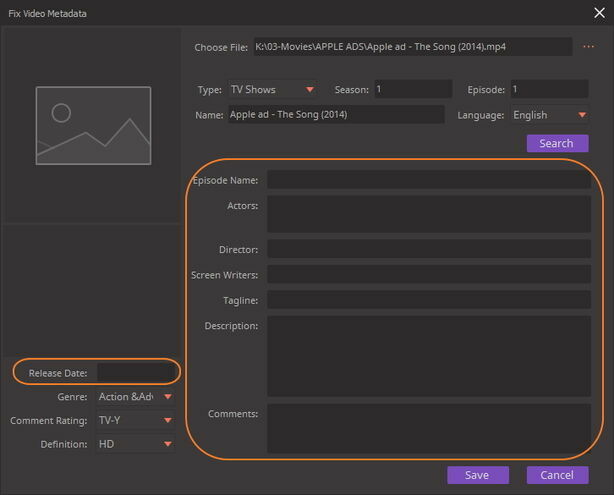 This article will introduce Wondershare Quicktime MOV metadata tagger and show you how to add/edit MOV metadata, which includes cover, comment, description, episode name, director and actor. 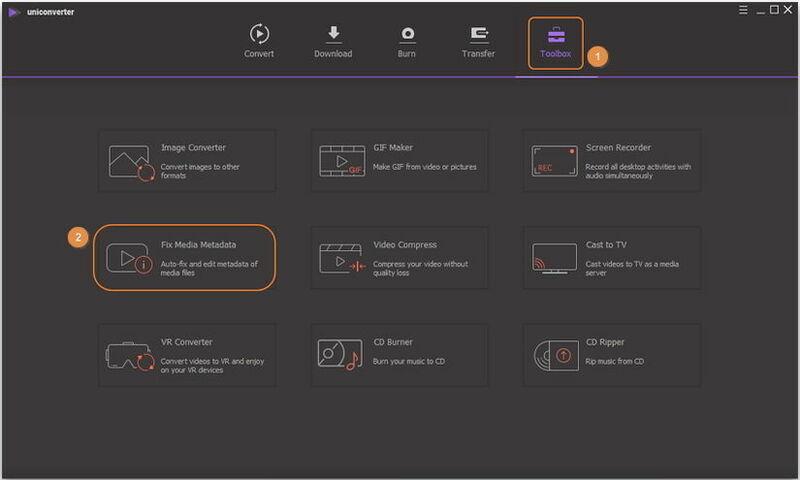 Add and edit metadata to videos in any format, including MOV, MP4, MKV, AVI, M4V and WMV. To better guide you on editing MOV metadata, we list both video tutorial and detailed instructions below. Step 1 Launch Wondershare UniConverter (originally Wondershare Video Converter Ultimate) on your computer and click Toolbox in the top, then click Fix Video Metadata under Media Tools category. Step 2 Then you'd get a separate Fix Video Metadata window, click … button to add MOV video that you want to edit metadata. Step 3 Fill in the blank like type, release date, episode name as you need and click Save to proceed. After this, you will find your iTunes MOV video has been synced automatically. It has been attached with a movie cover and the corresponding metadata information. Now just play your video on your Apple device. Note: Wondershare UniConverter (originally Wondershare Video Converter Ultimate) is not just a tool for MOV metadata tagger. It also enables you to edit video with beautiful video effect, convert videos between over 1000 formats, burn video to DVD, record and download online videos from 1000+ popular video sharing sites, such as YouTube and Vimeo. In short, don't hesitate to download this great tool and give it a shot right away!